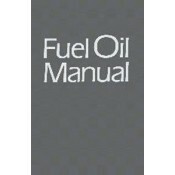 This standard reference presents a broad scope of fuel oil technology. It uses both English and Metric units throughout. The properties of fuel oils. The possibilities and limitations of each grade. Methods which can be used to assure uniform quality and efficient combustion. Fuel oil impurities and how they affect combustion. How to diagnose and solve problems. Chemistry of Petroleum. Petroleum Refining Processes. Grades and Types of Fuel Oils. Gravity. Heat of Combustion. Viscosity. Water and Sediment. Carbon Residue. Ash and Salt Residue. Flash and Fire Points. Pour Point. Sulfur. Color. Fuel Oil Distillates. Preheating of Fuel Oils. Sampling Storage Tanks. Stability of Fuel Oils. Fuel Oil Treatments. Reclaimed Fuel Oils. Blending of Oils. Transportation and Storage. Troubles and Causes. Stand-by Fuel Oil. Diesel Fuel Oils. Index.